Anthony Green was born in 1946 and studied piano with his father, Tanya Polunin and James Gibb, harmony and counterpoint with Anthony Milner, composition also with Anthony Milner and then with Hugh Wood and Melanie Daiken. From 1979 to 1981 he was on a British Council scholarship to Budapest where he studied composition with Zsolt Durkó, piano with Imre Rohmann and Istvan Lantos at the Liszt Academy, where he also studied Bartók-analysis with Ernö Lendvai. 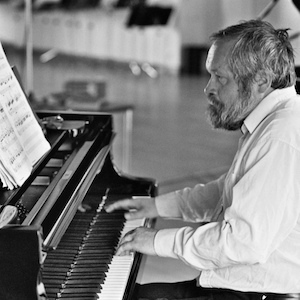 Green was a finalist in the BBC Beethoven Chamber Music Competition (1969) and the British Liszt Piano Competition (1976) and has had compositions performed on the BBC and Hungarian Radio. He has been teaching piano since 1990 at Trinity College of Music, where he also lectures on Romantic and Contemporary Music.